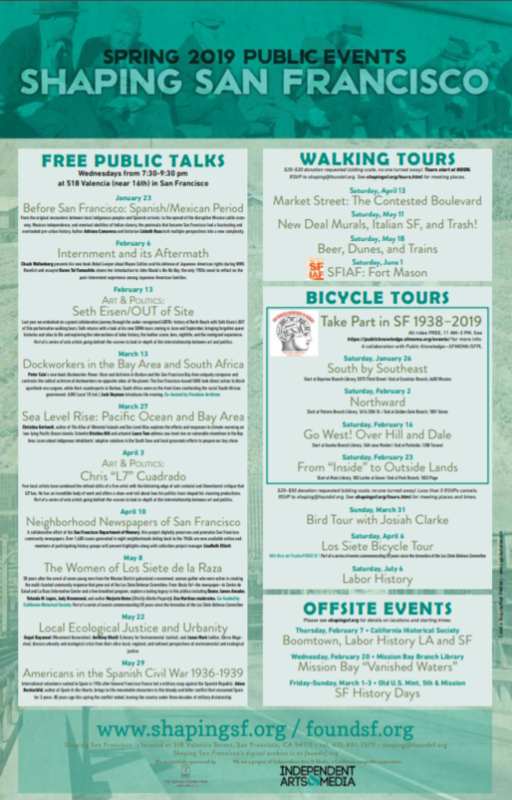 Shaping SF Lecture: Dockworkers in the Bay Area & South Africa | Mission Dist. 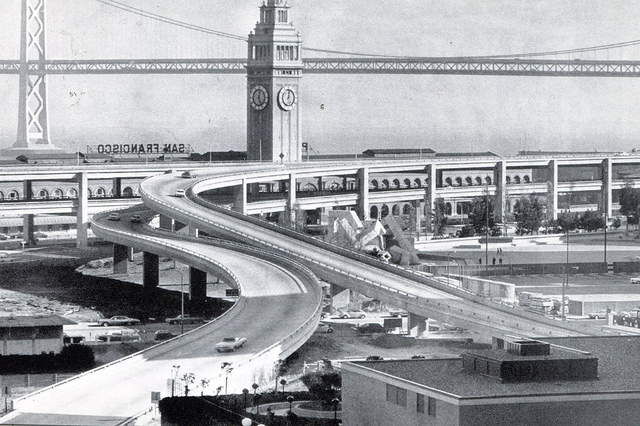 Shaping San Francisco is a series of free lectures, which aim to excavate the city’s lost history. It’s a place to meet and talk unmediated by corporations, official spokespeople, religion, political parties, or dogma. contrasts the radical activism of dockworkers on opposite sides of the planet. The San Francisco-based ILWU took direct action to block apartheid-era cargoes, while their counterparts in Durban, South Africa were on the front lines confronting the racist South African government. ILWU Local 10 (ret.) Jack Heyman introduces the evening. Wed 5/8 Shaping SF Lecture: The Women of Los Siete de la Raza | Mission Dist. 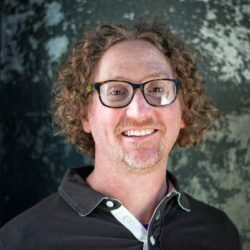 Wed 5/22 Shaping SF Lecture: Local Ecological Justice & Urbanity | Mission Dist. Wed 5/29 Shaping SF Lecture: 1936-1939 Americans in the Spanish Civil War | Mission Dist.